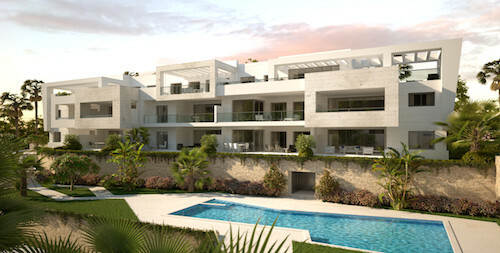 Under construction, Completion End 2019. 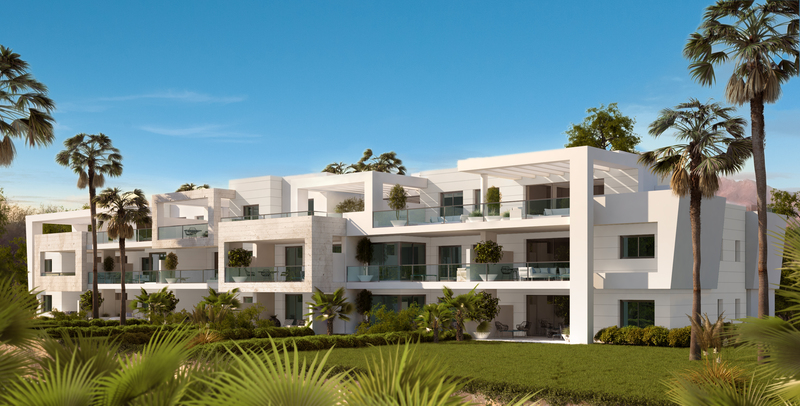 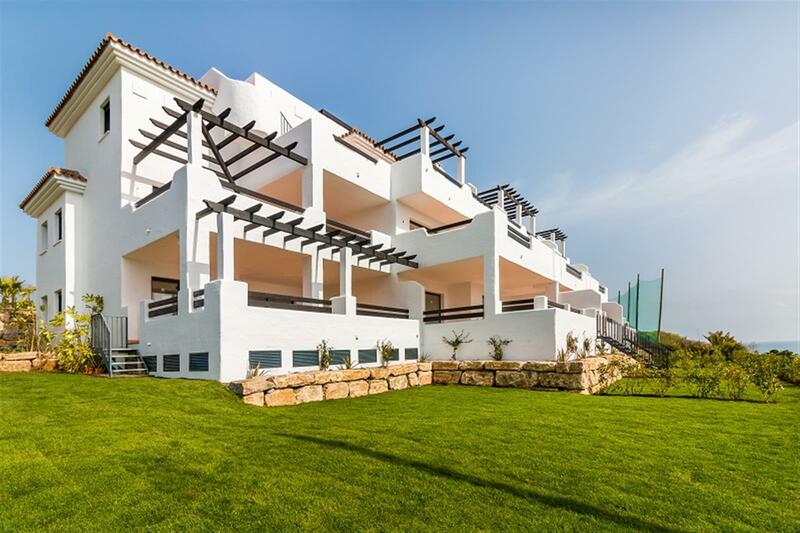 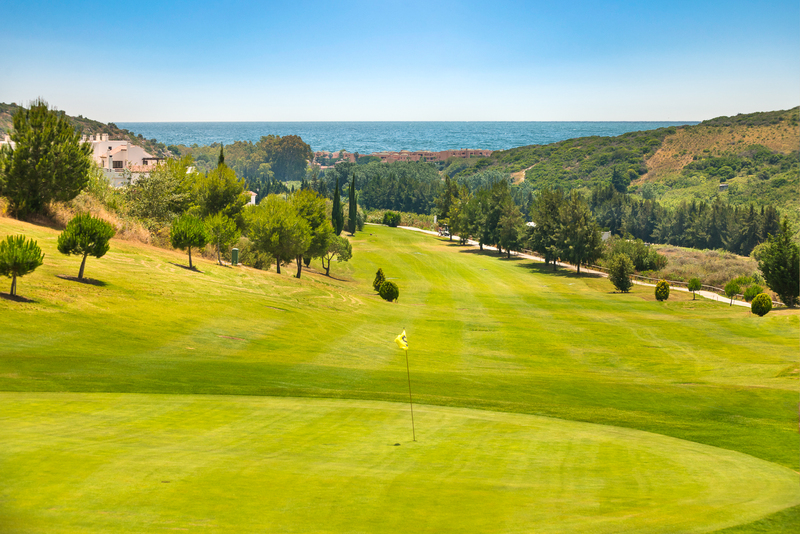 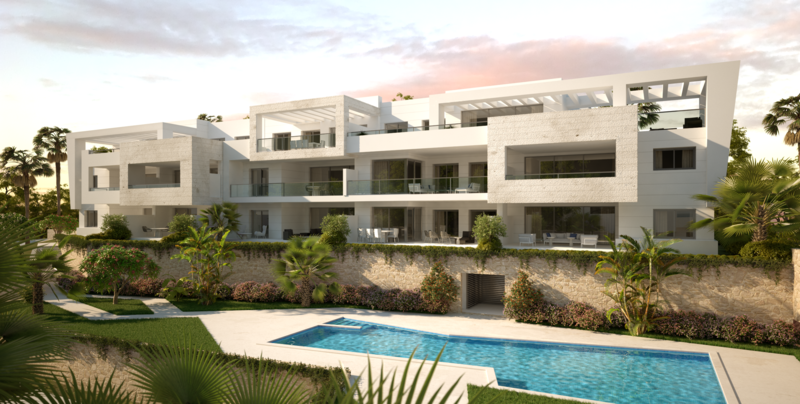 Forming part of the Casares Golf residential complex to the west of Estepona Town, the first phase of Quabit Casares Golf comprises 29 properties of irreproachable contemporary design – 12 with 3 bedrooms and 17 with 2 bedrooms. 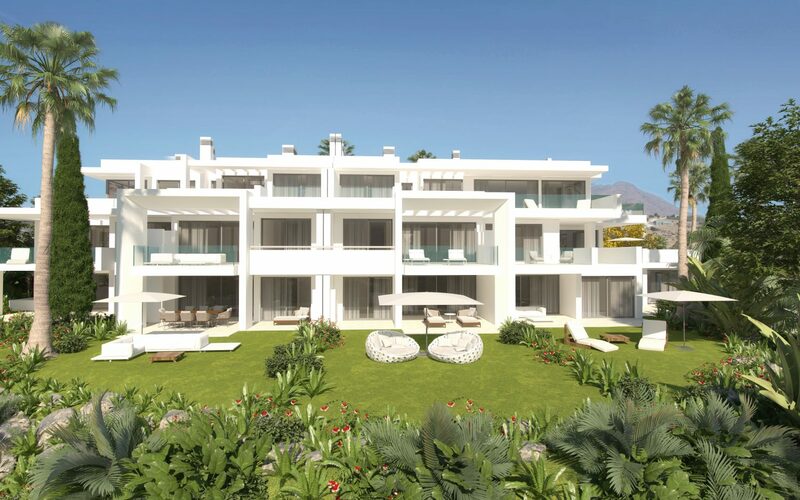 All are spacious, have two bathrooms, plenty of wardrobe space, elevator access and allocated parking. 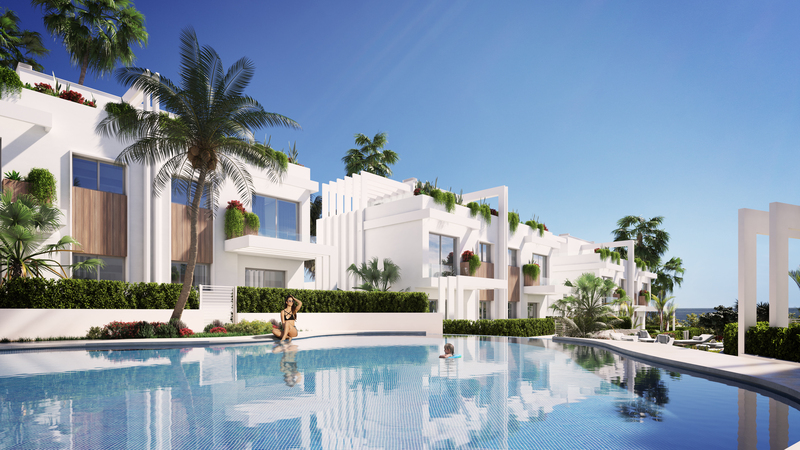 Onsite communal facilities, meanwhile, include attractive subtropical gardens featuring a swimming pool and children’s pool, as well as a fully-equipped gym. 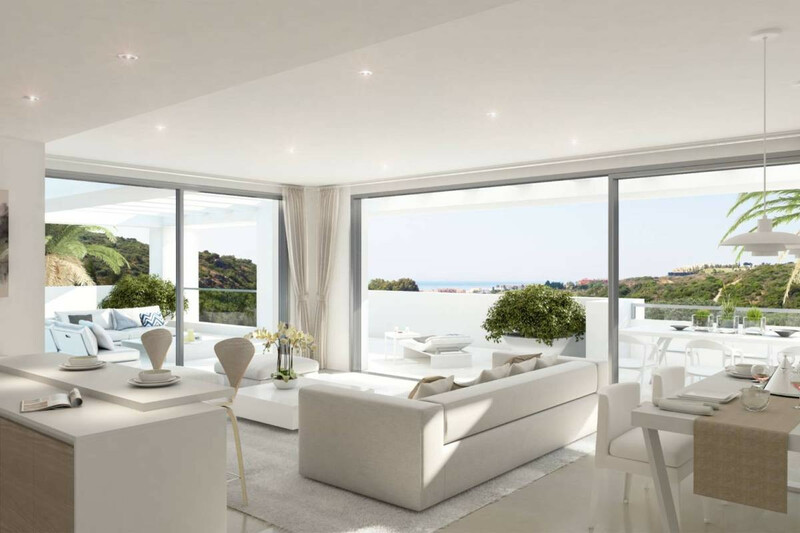 The properties – which feature sustainable energy technology and will be BREEAM certified – are housed in two low-rise buildings of sleek architectural lines. 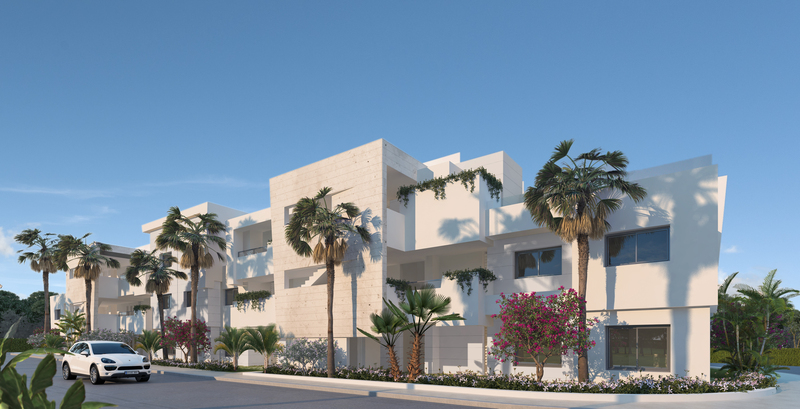 Ground floor units have spacious terraces and private gardens of varying sizes; first floor apartments have terraces of ample proportions; and penthouses feature particularly large terraces, some additionally boasting a pergola. 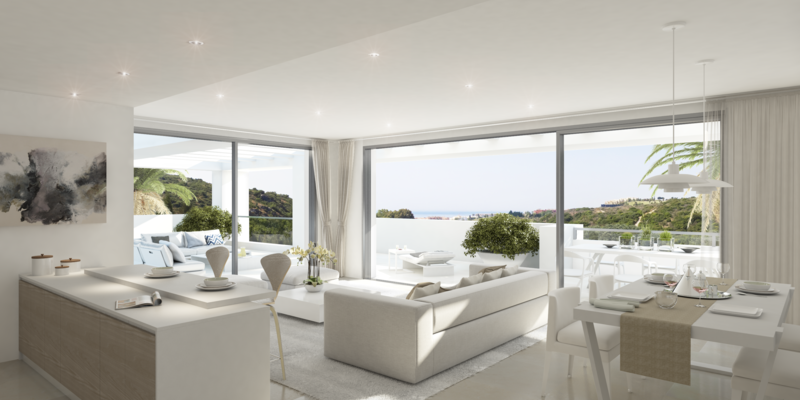 As well as benefiting from generous outdoor living spaces perfect for relaxation and entertaining, all the units have open views over the extensive communal gardens, and – depending on their position within the development – in many cases extend, on the horizon, to the sea.